What policy conclusions can we draw from the A Level results in 2015? 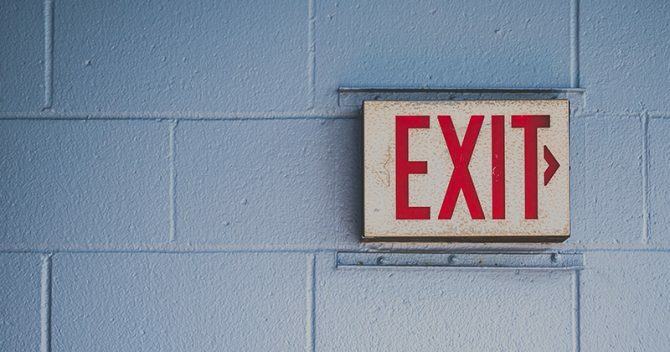 Politicians often claim that results show their favoured policy reform worked – but do this year’s figures stand up to scrutiny? Editor Laura McInerney checks out the data. Factually, the first and third are sound (at least in terms of the figures mentioned). Number two is a problem. What’s the picture for music? Down 7 per cent. Art? Down a couple of hundred. So let’s not pretend that the subjects that are “required” for top universities are all on the up. Furthermore, there’s nothing to say that the government’s emphasis on facilitating subjects is what’s causing the increase. It could just be that tastes are changing, or that there are now more people taking A levels. To check, I picked out five of my own favourite subjects: psychology, sociology, economics, politics, and art. Using A level results data from 2010 I compared entries to this year and lo: entries to my favourite subjects have increased by 14.3 per cent. That’s a whole per cent more than the increase in Gibb’s basket of goods and I haven’t even been trying to improve them. What about all those terrible resits which inflated grades? As this was the first cohort of A level students not to sit any January exams, it seems like we should be able to say something about whether or not scrapping the mid-year exams was a success. The final data shows that the overall A*-E pass rate is up by 0.1 percentage points, the top grade bracket of A*/As is down 0.1 percentage points. Frankly, this can be spun either way. Those who didn’t support Gove scrapping January exams and resits: “See, the kids weren’t gaming, it made almost no difference to the overall results at the end anyway”. Those who did support Gove scrapping January exams and resits: “See, no one needed to waste all that time and money on January exams because they didn’t make much difference anyway”. Nicky Morgan has been very anxious about getting more girls to do maths and physics – do the figures today show we should worry with her? Actually, the biggest worry is the teeny amount of girls studying computing. Fewer than 10 per cent of entries this year came from girls. Physics does also have a big gap, with just 21 per cent female entries. Maths, however, isn’t so bad. With an almost 60:40 split it’s one of the more even subjects – and is far less imbalanced than English which has a 70:30 split. What about modern foreign languages? Should we be worried about their collapse? A briefing pack given out with the statistics today included this graph. The MFL picture is far from rosy but the last few years have at least stemmed the language decline if not reversed it. Spanish is even seeing an upswing. Languages are, however, a subject which people commonly take for AS with a plan to drop it before the second year. When they do better than expected, or another subject is worse, pupils can then be persuaded to keep it on. With the move to linear A levels from September many language teachers are suggesting this benefit of the AS-A2 transition lift will be lost and numbers could stagnate or fall. And what are the things we just can’t tell from this data? It tells us nothing about the relative difficulty of subjects. 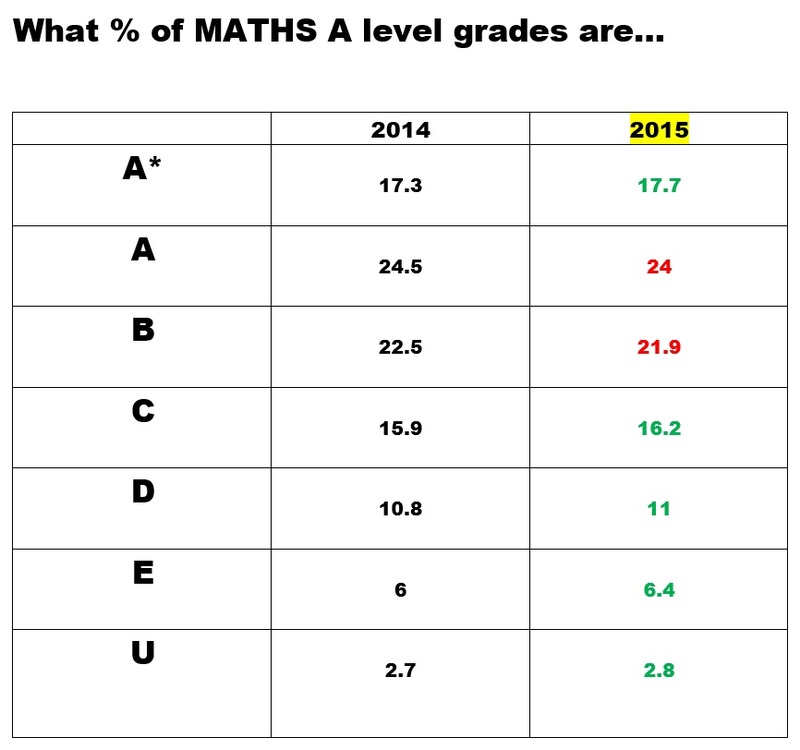 Almost a quarter of people in maths get the top grade. In media/film studies, almost no one does. 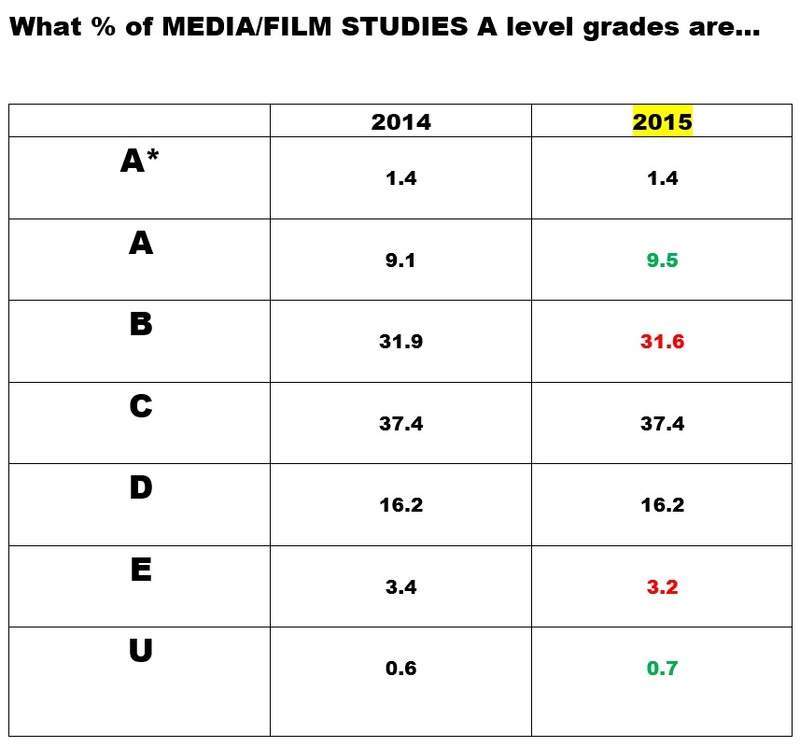 But this doesn’t mean that maths is easy and film is rock hard. Maths could instead be taken by total geniuses, while media is done by dullards (like me). We also can’t see anything about school types today. So your need for scraps about academies vs free schools vs other schools will have to wait until October.